1.LED rings are a great accessory for any type of celebration. 2.The LED Diamond Bling Rings have an open end band, making it comfortable to wear and one size fits most. 3.Perfect for Easter, Halloween,Christmas or other parties. 4.Brand New Batteries are included and installed. Not replaceable. 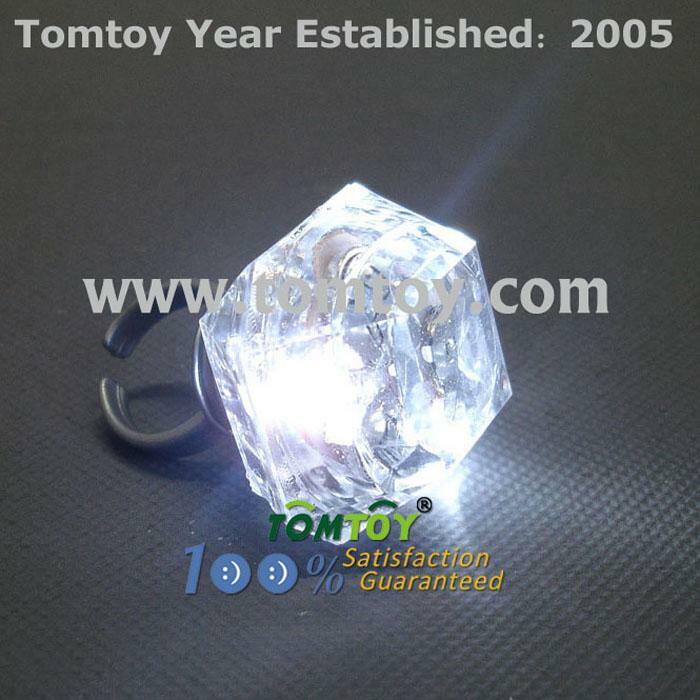 5.The bling measures almost 1.5 inches, is clear plastic, and has white LEDs. 6.The rings feature 3 flashing modes: a spinning flash- 3 LEDs blinking-constant.